If you’re facing sickness or disease in your body today, you may already be speaking healing confessions and standing on God’s Word for healing. But if you haven’t yet achieved victory in this area, you may be wondering what else you can do, aside from standing for a manifestation. 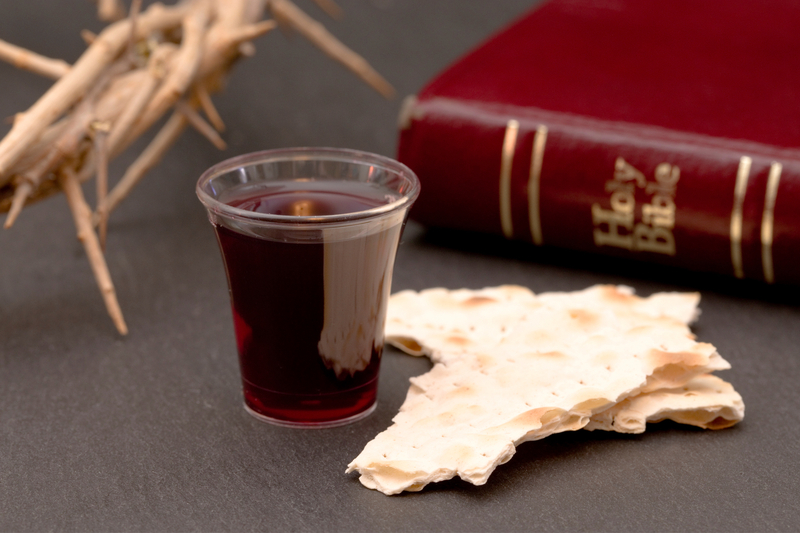 One powerful tool that is often overlooked by Christians is the taking of Communion. The Lord’s Supper is much more than just a religious tradition—it symbolizes everything Jesus did for us at Calvary. When you partake of the cup (representing the blood), you are remembering that Jesus delivered you from sin. When you eat the bread (representing His body), you are acknowledging the physical and spiritual torment Jesus endured to deliver you from temptation, addiction, worry, care, fear, poverty, lack and every part of the curse. That includes sickness and disease (Isaiah 53:5). You don’t have to wait until you go to church to receive Communion. You can receive it anytime and anywhere. In fact, if you haven’t made a practice of taking Communion on a regular basis, it’s time to start! The Communion table is the healing table, the deliverance table and the confession table. It’s the powerhouse of God. Lord, it’s not right that I suffer from sickness or disease. I judge it now as being from Satan, and I reject it. I refuse to receive it any longer. I partake of the sacrifice of Your Son’s body, and I receive the abundant life that You have provided, in Jesus’ Name. Father, I give You thanks for all You have provided for me through the New Covenant in Christ Jesus. I partake of those promises now! I am healed. I am redeemed. I am the head and not the tail. I am above and not beneath. I take the healing You sacrificed to give me, and I thank You and praise You for it, in Jesus’ Name. Be settled on the matter. Once you have taken Communion, settle your healing in your heart according to God’s Word. Don’t just hope it is done—know it. No matter what you may be faced with—sin, sickness, drugs, a weight problem, worry, strife, old habits or any situation in your finances—you can be delivered through properly receiving the Lord’s Supper. The body and blood of Jesus covers every area of your existence. Place yourself before God and receive Communion as the children of Israel did—ready to receive deliverance in your body! Take the time to put yourself before God over the Communion table. It will be time well-spent.